The Department said goodbye to one of its bubbliest employees this month. 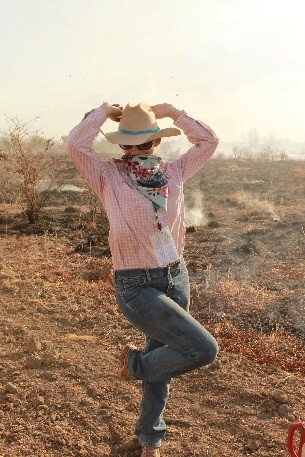 Jodie Ward has worked for the Northern Territory Government for eight years, and although her official title was Pastoral Production Officer, Jodie was a ‘Jill of all Trades’. Jodie, and her husband Dan, have decided to make the move to Queensland for a couple of years to pursue Dan’s career in helicopter training, but as Jodie said, “Katherine and the Territory is our home now, and we will definitely be back”. Jodie started with the Department in 2010 and quickly became known as the grass counting guru. When it came to doing any sort of grass counting, Jodie was your gal, and could always be counted on to have the quad bikes serviced, tablets charged and some good, bopping tunes for the long drives across the paddocks. Grass counting wasn’t her only talent though. Jodie was heavily involved in the data collection for the Liveweight Gain project, which involved collecting plenty of fresh poo samples, and I think we can all use our imagination to envisage how one might obtain the freshest samples…. 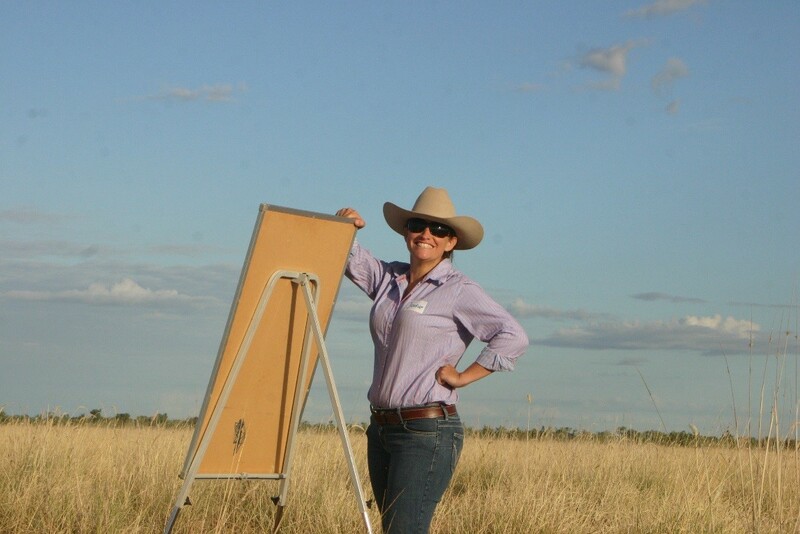 While Jodie has many talents, her passion is extension, and she knows exactly how to inspire a room full of first year stockmen/stockwomen, and demand attention when delivering Grazing Land Management, Rangeland Management or general stock courses. With the increased power in social networking, Jodie is a strong believer in using social media to engage and captivate a target audience. 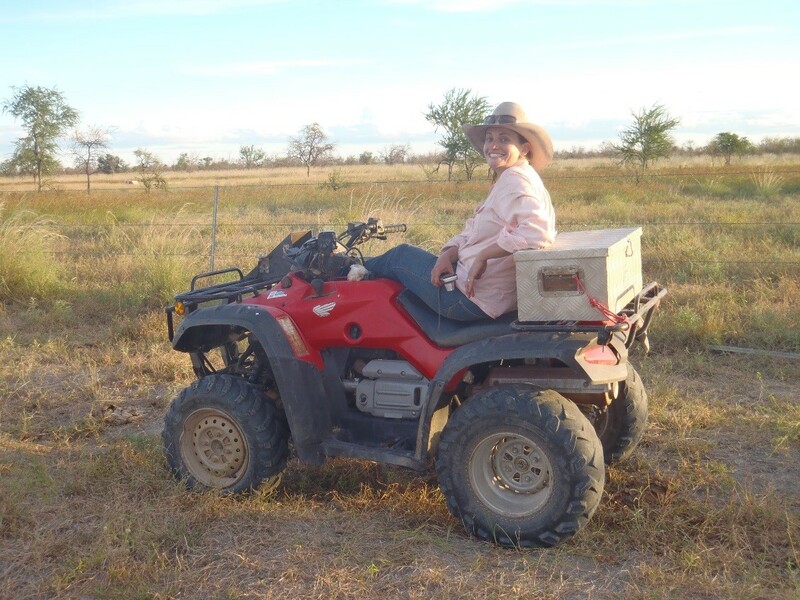 Her talent and passion for extension has shone through over her time with the Department, evident in her keen involvement in organising Beef Up Forums, Kidman Springs Field days, annual Katherine Show displays, Katherine Farm and Garden Days, and various other project field days over the years. The Department staff would like to thank Jodie for all her hard work, dedication and bubbly sense of humour, and wish her and Dan all the best with their big move East. Figure 5. Jodie in her element: delivering an extension workshop in the paddock.